New Course Reveals How to Master Middlegame Positions with Zero Memorization! Middlegame, no doubt, is the KEY part of chess because the majority of the games are won or lost on this territory. Perfecting your middlegame would definitely lead to much better RESULTS regardless of the level you're on. How do you actually improve your middlegame? Sure you can read tons of books or watch dozens of videos followed by playing zillions of practice games, losing a bunch in the process... That would take you months if not years to complete. And ...would that actually give you the results you're after? First of all, this course isn't like any other Middlegame course you've seen. There is no fuss or filler - just battle-tested techniques that are WORKING on the very top level. And thanks to GM Kuljasevic's structured approach it is very easy to digest and use. 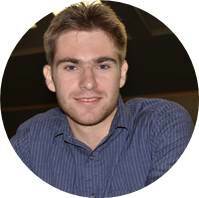 Instead of focusing on the regular things like "opposite side castling" and "outposts" GM Kuljasevic explains the middlegames through the prism of central pawn structures. It helps immensely to have a solid knowledge of typical central pawn structures to successfully navigate through complex opening and middlegame positions. Knowledge of the central pawn structures is similar to the opening repertoire. If you are facing an unfamiliar structure you may be in trouble. That’s why it is important to have it all in your chess toolkit! 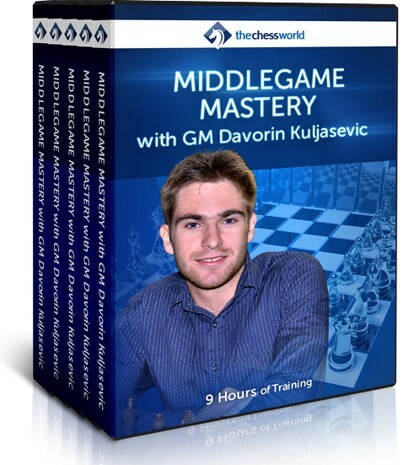 In this 9-hour Middlegame Mastery, GM Kuljasevic goes over all the typical central pawn structures [around 30 types] to make sure you get the most up to date, reliable insight on how to treat each and every one of those positions. And of course you get all of his “insider” tips, plans, strategies, techniques and Grandmaster’s secrets revealed and available at your fingertips. What it will do for your game? Formation of Plans - middlegame planning revolves around the central pawn structures. Understanding those structures will simplify your ability to come up with a winning plan. Saving Time and Energy - knowing the typical ideas and pitfalls in central pawn structures saves precious time during the game as some moves can be made on autopilot. It also allows you saving some of your concentration and “brain power”. Increased Ability to Find the Right Moves - not only you will improve your middlegame play, but it will also reflect in your openings and endgame conversion. And yes, you will win more games with this! Are you ready to take you Middlegame to the Master territory and beyond? Let’s get started! Summary of the key points covered in each of the course's 13 lessons for quick reference and reviewing. Use it as a quick refresher after studying the course or print it and pin it on the wall. The cheat sheet covering the 5 most important pawn structures with Kotov's analysis. You will know what plans work best in each of those positions - use it for a quick reference, or as a refresher before an important game. Ideas are provided for both sides: attacker and defender. Instant download of 3 Grandmaster courses covering important concepts such as fundamental pawn structures, how to get winning positions with bad pawns and winning strategy for playing blockaded positions.